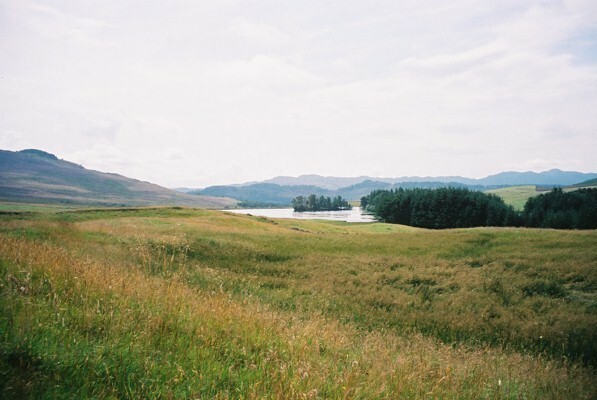 Loch Moraig, a tranquil strip of water flanked by tall pine trees in the hills above Blair Atholl, is the starting point for this fine walk through open moor, over-shadowed by the lofty peaks of the Beinn a'Ghlo ridge. Set off from the grassy parking area at the end of the road and follow the track north east to reach a gate at the start of a track on the right. Go through this and the track climbs away from Loch Moraig, over open moor and grazing land. The way continues to ascend to a pair of wooden sheds sitting to the left of the track, at the point where the Carn Liath path branches off. Stay on the track as it descends to ford a stream below the remains of an old bridge. 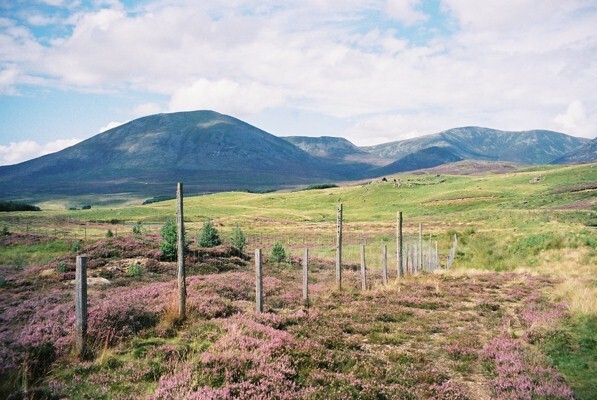 There's a fine view of Carn Liath here. The track rises away from the burn and climbs to reach a gate. Go through this and continue until a junction is reached. At this point, branch left on a less substantial track that continues to run east, skirting round the lower slopes of Carn Liath. A kilometre from the junction this reduces in width to a path which drops to cross the Allt Coire Lagain. There is no bridge but there are plenty of well placed stepping stones to see you over. Look upstream for a view towards the stony flanks of Beinn a'Ghlo. On the far bank, the path climbs through the heather. It is narrow and quite indistinct in places but if you continue to head up the slope in a north-easterly direction, you will reach a much more obvious path higher up. Go right on this and follow it as it descends to cross the Allt Loch Valigan at a rather rundown wooden bridge. Continue south around the western slope of Carn Breac to join a track below this craggy little knoll. This drops through grazing land to a junction in the base of the glen, the abandoned farm buildings of Shinagag seen over to the left. Once a busy sheep farm, the cottage and its sheds are now empty and boarded up. Go right at the junction and the track snakes up to a solid bridge spanning tumbling falls on the Allt Coire Lagain. The route continues to climb through sheep grazing land to reach the junction of tracks encountered earlier in the day. Retrace your steps from here to Loch Moraig. Start/parking End of public road at Loch Moraig, two and a half miles from Blair Atholl, grid ref NN 907673. Grading Low level walk through open glen following good tracks and paths throughout. Sheep grazing, so dogs on the lead.